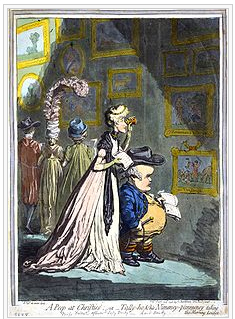 A Peep at Christies (1796) - caricature of actress Elizabeth Farrenand huntsman Lord Derby examining paintings at Christie's, by JamesGillray. The auction industry has a gross revenue in the billions yearly with the fastest growing sectors being agricultural, machinery, equipment auctions and residential real estate auctions. Even in a presidential year with low oil prices, the auction industry thrives. 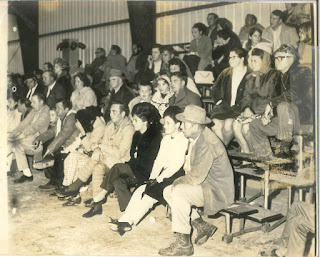 Photograph of a 1958 Henderson Auction's event. Candles were used in the 1700's at auctions to declare the winner. If you were the high bidder at the time when the candle extinguished itself, you won the auction. In the mid-1700's, auctions were commonly held in taverns. Elaborate and detailed catalogs for works of art were considered art themselves.